Why is Perfectly Good Meat Being Thrown Away? Like perfectly good fruit and vegetables, meat and seafood are thrown out before their best before dates by grocery stores, supermarkets and other distributors. 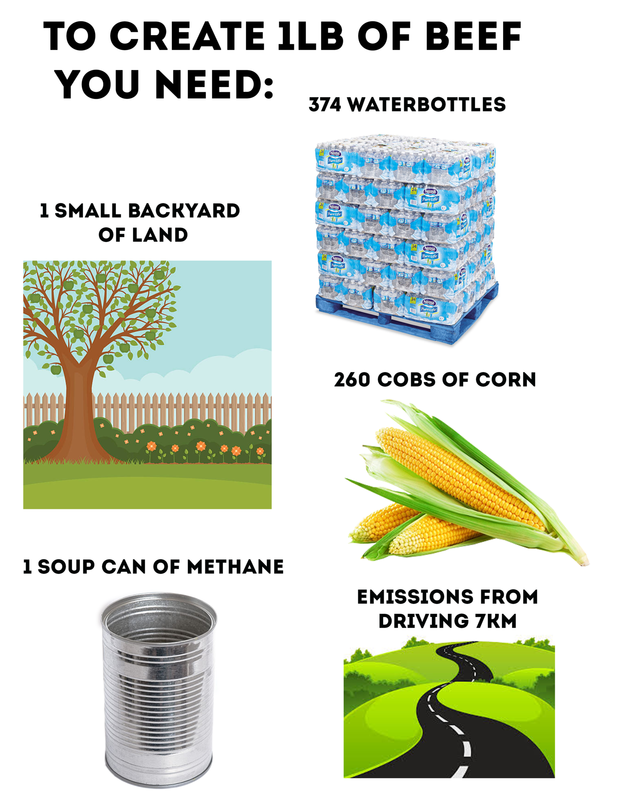 In fact, between farms, restaurants, grocery stores and homes, approximately $31 billion dollars worth of food is thrown away each year, in Canada alone! Meanwhile, our landfills are filling up, and Canadians are going hungry. Similar to produce, perfectionism is part of the problem. A lot of meat product ends up being thrown out because it doesn’t look as perfect or as aesthetically pleasing as the other products that actually make it to the grocery store freezer. This can include not being the perfect shape or not being "pink" enough. Buyers want perfect, and grocery stores and distributors know that, and will cater to that. On a bright note, the "imperfect" meat which is not sold on its own, is first used up in other products like chicken salad or prepared meals. After that, the rest, is thrown out. Long distance transportation also creates more opportunity for spoilage on route, as meat and seafood can only be refrigerated for a number of days in a truck. If frozen, they can be held almost indefinitely, but equipment failure can cause the loss of an entire shipment if the temperature rises for just 2 hours. Another factor contributing to this huge amount of food waste each year is the fact that meat and seafood are often thrown away by grocery stores before it even gets to the “best before” date. To be clear, a “best before” date is just that. It doesn't mean that the product is not safe to eat on or after that date. It simply means that the product is in its prime by that date. Meat and seafood is often still safe to eat several days after the “best before” date and indefinitely if its kept frozen. However, as consumers, we’re not taught that. We're actually taught that a product close to or past its best before date is actually expired and will make us sick, which is simply not true! Even though less meat is wasted compared to fresh produce, any meat waste has a much larger negative impact on the environment.